Nothing is more miserable or dangerous for your pet than fleas, ticks, flies, mosquitoes and other aggressive bugs that can spread disease and make your pet sick. Bug-Off! is the safe, natural way to repel biting insects and give your pet long-lasting protection. This gentle, but powerful formula contains vanilla, tangerine, geraniol and geraniumnatures own insect repellentsas well as conditioners for the skin and hair. Bug-Off! is safe for all your furry pets, wont sting the eyes, and can even be used on nursing animals. Dont let a little odor (or a big one) make you miss a hug! Sniff-It neutralizes odors on contact with a special formula that is gentle and safe for your pet. A mild fragrance tells you its working while powerful enzymes eliminate unpleasant smells. Sniff-It also permanently neutralizes odors from accidents without staining carpet or upholstery. Bowser Breath Herbal Breath Drops for Dogs provides quick, safe and lasting relief from foul odors that are produced in the mouth or digestive tract of your pet. This is a complete dietary supplement for the everyday health of your pet. It contains only the highest quality human grade herbs, vitamins, essential fatty acids, amino acid chelated minerals in a balanced, health-support formula. Used in conjunction with a good diet and exercise, this formula will support your pets' resistance to disease, increase vigor, and help assure that your companion is getting the nutritional diversity needed to remain healthy and happy. Please feel free to call us to find out more about this formula and our dedication to you and the health of your companion. Each ingredient is proportioned to serve as a synergistic part of a whole body tonic formula. It is a combination of safe, effective, time-proven herbs which are joined together to provide broad-spectrum herbal support without interfering with normal body functions. Dogs and cats naturally and selectively eat grass and other plants to fulfill special needs when such a need arises. Now, by adding this balanced array of supportive vitamins and herbs to our companions' food, we can provide the botanical diversity that the back yard forest simply cannot. Dosage:Give one teaspoon per 30 pounds of body weight daily. Remember to start at 1/3 the dosage and gradually increase over first two weeks. Use as a dry topping on food or add warm water to make a delicious gravy. They'll love the taste! Essential Fatty Acids are as vital to your pets health as vitamins and minerals. They are especially important for healthy skin and coat. Essential Fatty Acids are as vital to health as vitamins and minerals. They are missing from your pets' diet and need to be added. Also includes Spirulina and Lecithin. Without essential fatty acids cells can not be formed or function properly. Essential fatty acids are the building blocks for prostaglandins which work to regulate hormones, immune and nervous systems plus cardiovascular function. This is why these fatty acids are called "essential fatty acids"(EFAs). Researchers now consider EFAs to be as vital to our health and our pets' health as vitamins and minerals. The body can not make essential fatty acids from other substances. They need to be included in our diet and our pet's diet. The two essential fatty acids are called linoleic acid (Omega - 6) and alpha-linolenic acid (Omega - 3). These essential fatty acids are delicate food components and are easily modified or destroyed by the temperature necessary to cook and process food. EFAs are very sensitive to light, oxygen and heat which will cause them to turn rancid. The modern western diet with the commercial refinement of fats have eliminated most of the essential fatty acids from our f oods. Studies have shown the ratio of Omega - 6 to Omega - 3 to be equally important. A ratio of about 4 to 1 (Omega - 6 to Omega - 3) is considered optimum. T he modern western diet has a ratio of 20 - 1 or higher. This is especially true in commercial pet foods. EFA oils. The formula includes Marine Lipids (preformed EPA & DHA) and Borage Oil (preformed GLA) plus Lecithin, Spirulina and Trace Minerals from Sea Plants to assist the body in the production of good prostaglandins. This is what makes this a superior EFA supplement for your pet. The information provided with this dietary supplement is for educational purposes only. It is not meant to be a substitute for an examination and diagnosis by a licensed veterinarian. This product is a dietary supplement and is not designed to be used as a medicine. Give one teaspoon per 40 lbs. of bodyweight. Mix with food. They'll love the taste! Comes in 8 oz and 16 oz oil. A natural seaweed product harvested from the seabeds off the coast of Ireland. Use with a home prepared diet without the worries of bone meal. Worried About Bone Meal for Home Prepared Diet? Try Natural Calcium Harvested from the Sea. This calcium is a natural seawwed product harvested from the seabed off the southwest coast of Ireland. Here amongst the cleanest and purest waters found anywhere is the world, grows the small red seaweed Lithothamnium which is composed of a wide variety of body essential nutrients, including calcium, phoshorus, magnesium, boran, and zinc. "100% Certified Organic. Synergistic balance of nutritive herbs and sprirulina. Rich in antioxidants, vitamins and minerals." Rich in dietary fiber and Omega-3 essential fatty acids (EFA's) that are critical in the development and maintenance of a healthy nervous system, heart, immune system, �skin, hair, and nails. EFA's are also important in the regulation of allergic responses--- such as those triggered by flea bites. The dietary fiber of flax and soothing mucilage it contains is very soothing, cleansing, and supportive to the digestive tract. BURDOCK A plant food that is rich in vitamins and minerals, burdock has been used for thousands of years by herbalists who recognize it's powerful antioxidant properties. Besides tasting good (to animals as well as people), the oil that comprises up to 50% of pumpkin seeds is very rich in vitamin E and essential fatty acids. The seeds also provide a special combination of fiber, and a chemical compound called cucurbitin. Herbalists beleive that these constituents are u Wseful for keeping intestinal parasite populations (especially tapeworms) in check. This blue-green algae contains one of the richest and most assimilable sources of vitamins and minerals in nature. It is well described as a "super food". Up to 60% of spirulina's physical structure is the form of digestible protein, and just 3 grams of the pretty blue-green powder may contain as much as 15,000 I.U.s of antioxidant beta-carotene (vitamin A), 755 mcg. of vitamin B-Complex (including B-12), over 60 mg. of Omega 6 and Omega 3 essential fatty acids, and dozens of trace and essential minerals--- including as much as 12 mg. of calcium, 30 mg. of phosphorus, and 45 mg. of potassium---for healthy bones and muscles. Spirulina is also a very rich source of chlorophyll--- the stuff that makes plants green. Chlorophyll is believed t oprotect cells against carcinogenic compounds. A small amount of garlic contains considerable amounts of protein, fiber, potassium, phosphorus, calcium, sodium, vitamin A, thiamin, niacin, taurine, zinc, riboflavin, and dozens of other nutritive compounds. Plus, a single clove of fresh garlic may contain as much as 100 mg. of sulfur compounds, all of which have been shown to possess various immune system support and antioxidant qualities. 100 grams (about 5 ounces) of dried nettle can contain up to 30 gm (30% of it's weight) of crude protein, 2970 mg. of calcium, 680 mg. of phosphorus, 32 mg. of iron, 650 mg. of magnesium, 20 mg. of beta-carotene, and 3450 mg. of potassium, along with vitamins,A, C, D, and, B-complex. NO LACTOSE, SUGARS OR PRESERVATIVES! An all natural digestive aid with plant enzymes and probiotics, this product assists in the digestion and absorption of nutrients which are necessary to maintain good health. It relieves the extra burden placed on the digestive system, as this product breaks down fats, carbohydrates, cellulose and protein. Enzyme and probiotic supplementation is a good preventive measure to ensure the health of your pet. To insure optimum digestion and health we recommend the addition of this supplement to each meal. For optimum utilization the supplement should be added to the food and should be moistened shortly before feeding to be effective. Available in 100 and 300 grams. 120 capsules. Supports immune function and helps to increase vitality and stamina. All the benefits of pure 100% bovine colostrum from New Zealand with the added benefits of beta-lipid. Bovine colostrum works wonderfully with cats, dogs and other mammals because it is not species-specific. Encourage them to drink water after they take colostrum. Colostrum heals the digestive tract so well that all substances taken internally (food, herbs, natural healing substances, and medications) will become more bioavailable to the body. 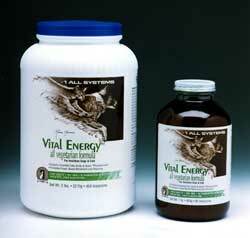 Supports immune function and helps to increase vitality and stamina. All the benefits of pure 100% bovine colostrum from New Zealand with the added benefits of beta-lipid. The colostrum powder can be sprinkled over their food or a small amount added to their water. Bovine colostrum works wonderfully with cats, dogs and other mammals because it is not species-specific. The colostrum powder can be sprinkled over their food or a small amount added to their water. Most pets love the taste of colostrum. Encourage them to drink water after they take colostrum. 120 capsules. A blend of New Life Colostrum, glucosamine sulfate, MSM, cetyl myristoleate, lipase enzyme, coated with our special beta-lipid. May help support cartilage and joint function. Bovine Colostrum helps increase bioavailability and absorption of nutrients in the body and helps decrease the bioavailability of iron to pathogens. MSM, a natural form of sulfur helps in the prevention of free radical damage and helps support joint and cartilage function. Glucosamine sulfate contains sulfur, an element important to the biochemical synthesis of connective tissue Cetyl myristoleate helps support joint and cartilage function. It is paired with a lipase enzyme in order to help increase its absorption and assimilation in the body. * Easily digested, high fiber, no preservatives or additives, cholesterol, wheat & gluten free *Contains Essential fatty acids & green phytonutrients *Promotes proper bowel movement and cleansing.